One of the things I love about books is that even though one of them may not be something I particularly fell in love with, someone else will get more out of that same read. 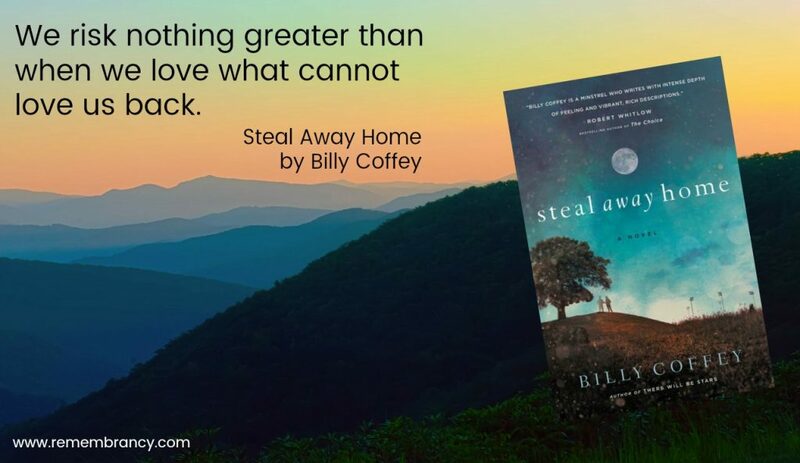 Billy Coffey’s January release is proof of this (just check out the pan of review ratings for Steal Away Home). This book moved at the pace of a baseball game—slow. While I’ve never been a baseball fan because the sport moves so sluggish after a season of watching the speed of hockey players on the ice, I can appreciate what athletes pour into their sports. 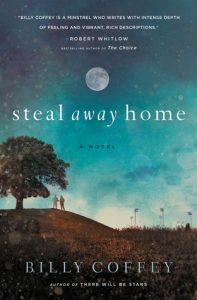 But Steal Away Home was difficult to get into. During the course of Owen Cross’s first major league game, he reminisces about the girl he once loved. Instead of chapters, the book has “innings”—top and bottom with too many flashbacks throughout. None of the characters (with perhaps the exception of Owen’s mother) were very likable. I could blame that on the fact most of them were teenagers but even the adults felt selfish and self-serving. While Own and Michaela had a decent start, as I got further in the book, I liked them together less and less. I made it to the end of the book, wanting to know the mystery of what exactly happened to Michaela (which was never answered) only to be confronted by another mystery and an ending that was less than satisfying. Yet, Billy Coffey’s descriptions of small-town life in an Appalachian community and the divide between poor and poorest are spot-on. There is some depth of insights into humanity and the realization that giving up one dream for another sometimes leads to regret. That ordinary people can do extraordinary things and that our heroes can disappoint us. 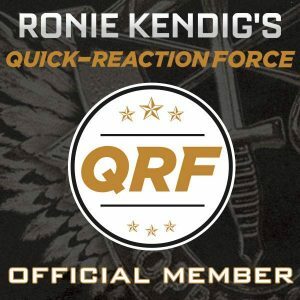 Owen Cross grew up with two loves: one a game, the other a girl. One of his loves ruined him. Now he’s counting on the other to save him. Owen Cross’s father is a hard man, proud in his brokenness, who wants nothing more than for Owen to succeed where he failed. With his innate talents and his father’s firm hand guiding him, Owen goes to college with dreams of the major leagues—and an emptiness full of a girl named Micky Dullahan. Owen loved Micky from the first time they met on the hill between their two worlds: his middle-class home and her troubled Shantytown. Years later he leaves her for the dugouts and the autographs, but their days together follow him. When he finally returns home, he discovers that even peace comes at a cost. And that the hardest things to say are to the ones we love the most. From bestselling author Billy Coffey comes a haunting story of small-town love, blinding ambition, and the risk of giving it all for one last chance.